1. Opening prayer by Ambassador Seun. 2. Preamble of our constitution was read out by Ambassador Kehinde. 3. Greetings & recap of our last meeting. - Dumping of dirts around the campus community raised by Ambassador Olamiposi. - Lack of proper waste disposal systems raised by Ambassador Tomiwa. 5. And we said if GCI (Green Campus Initiative) AAUA could provide waste bins the issues can be solved. 6. The Executive organs for GCI AAUA were inducted and Ambassador Fash led the executives in the oath of office. 7. The names will be updated. 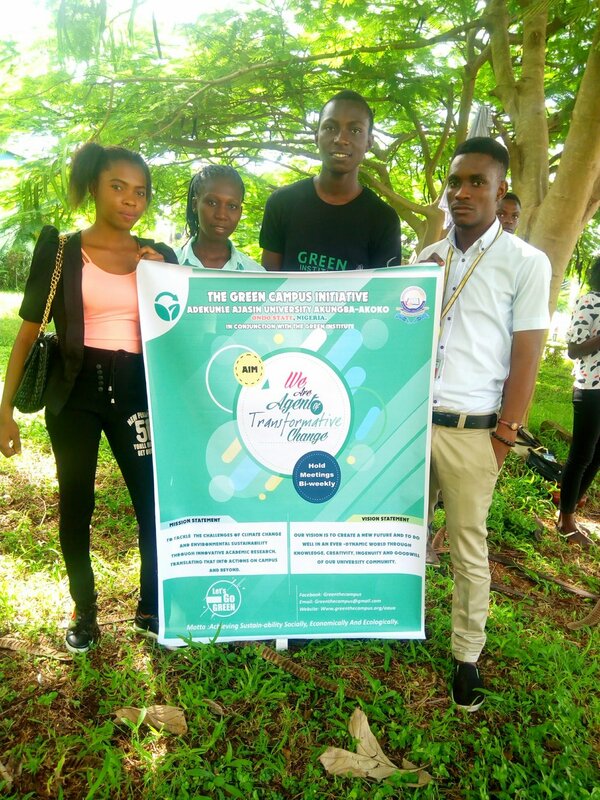 The Green campus initiative meeting; AAUA chapter on 15th Sept 2018. 3. We indulged ourselves to carry out researches that are sustainable. 5. We reviewed the concept of sustainable development by watching a video prepared by Ambassador Tomiwa. 8. We agreed on Greening a campus community this semester. 10. We also suggested to get a T-Shirt as a symbol of recognition. 11. Our New members introduced themselves. 12. All ambassadors boldly with a smile took the Green pledge. 13. Closing prayer by ambassador Abiola.